This beautiful outdoor hanging chair, will make all your dreams come true. 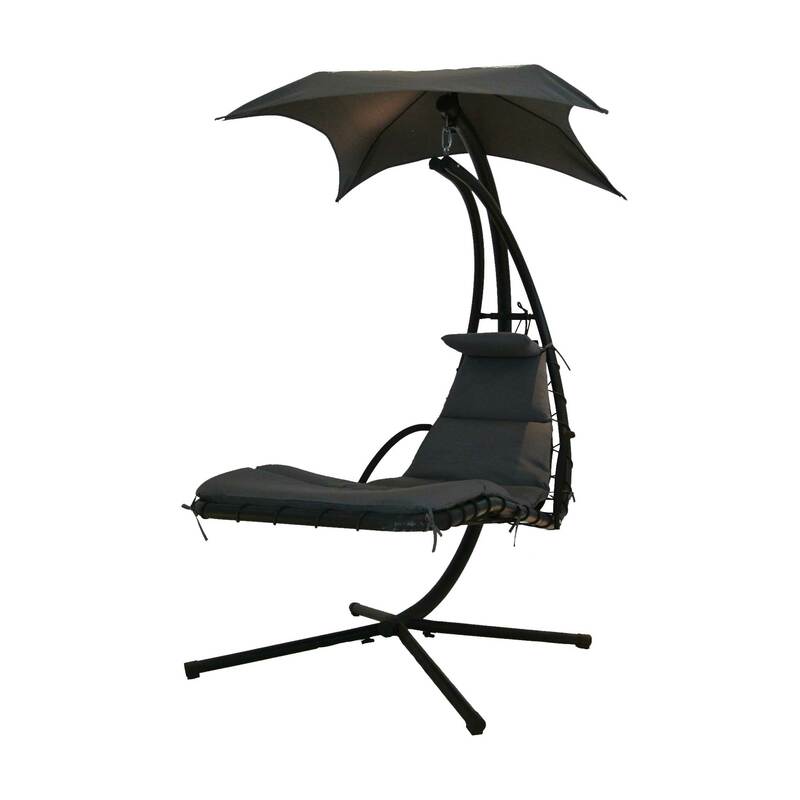 It offers the perfect level of comfort and appeal you look for in a backyard chair. The perfect way to get some sun under your skin this summer, as it offers a supportive and relaxing design that you can take complete advantage of. 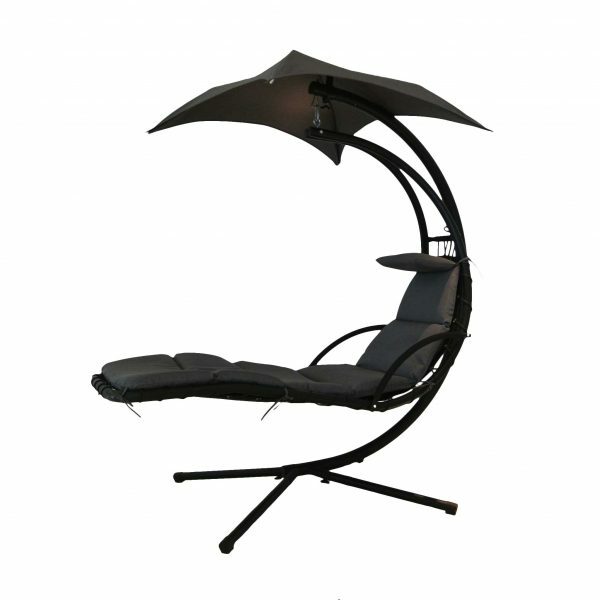 In addition, the canopy offers great protection from direct sun and allows you to rest or read in peace. In addition, the handing feature allows you to slowly rock yourself, or relax in a still hanging chair. The material used to construct this dream chair offers the perfect security and comfort you can ask for. Along with a modern design, that will help you keep up with the light and bright theme. 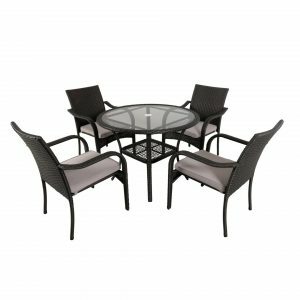 So you do not have to worry about pairing it up with other pieces in your backyard. As the stunning dream chair offers the perfect appeal and design. The clean allow frame is topped with quality and easy to clean fabric that offers great support and is the perfect way to relax. Moreover, the alloy frame offers a quality look, which is hard to achieve, along with a firm hold on the ground, so you do not have to worry about a thing. As for the light and bright fabric used on the chair, it is tied in place using a strap design, which comes with an additional cushion for head support. 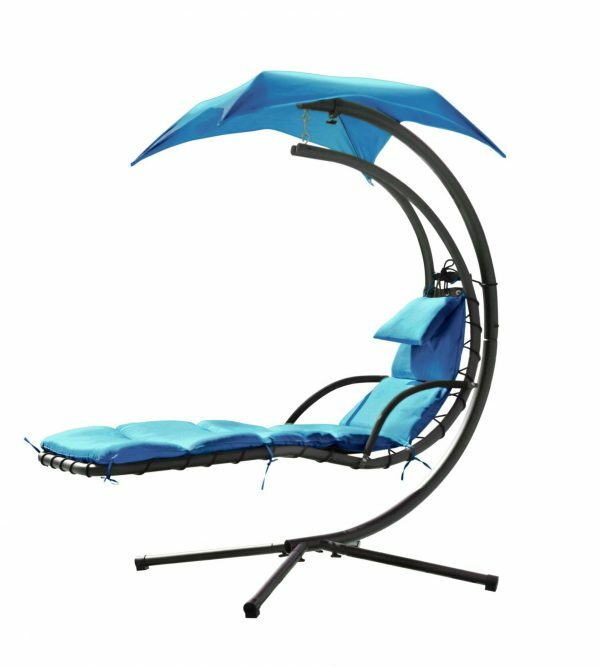 Furthermore, to ensure complete comfort there is an alloy handrest on both sides so you can easily support yourself and your arms when resting on the Outdoor Swing Hammock Lounge Chair. What makes this dream chair stand out if the overall look and style it offers. Everything from the color to the chain and ribbon is in light with a modern design. There is nothing that is out of place, and that is what makes this dream chair the perfect fit for you. So you can enjoy a customized backyard that is in line with the theme of your home.